Situated close to Paro International Airport and nestled amidst the Himalayan valleys of Bhutan, is the beautiful Himalayan Tashi Phuntshok Hotel & Spa, Paro. 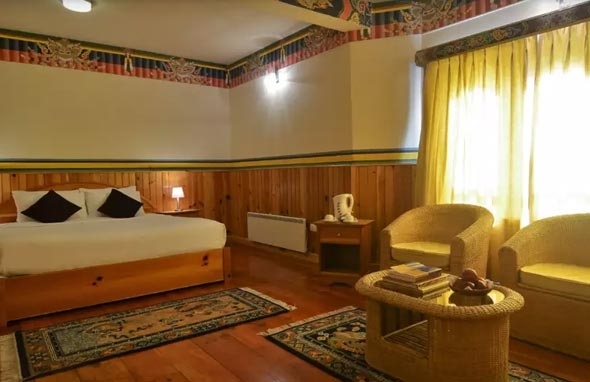 Offering a perfect blend of traditional Bhutanese architecture and modern style decor, our hotel in Paro creates a resplendent ambience for our guests. Walls fringed with Bhutanese paintings and the panoramic view of the rice fields add to the inviting features of our hotel and create a unique and distinctive staying experience for our guests.